Gamoneu cheese is produced with cow's milk, goat's milk and sheep's milk. It is elaborated following the ancient traditions of the herdsman at "Picos de Europa" (Asturias). This is a half hard cheese. It is dry and smoked. In the mouth is a little buttery, and good aftertaste. First prize in the contest of cheese of Onís 2008-2009 - 2012. 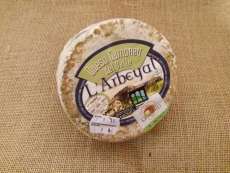 First prize in the contest of cheese of Cangas de Onís 2014.